A variety of architectural shots. 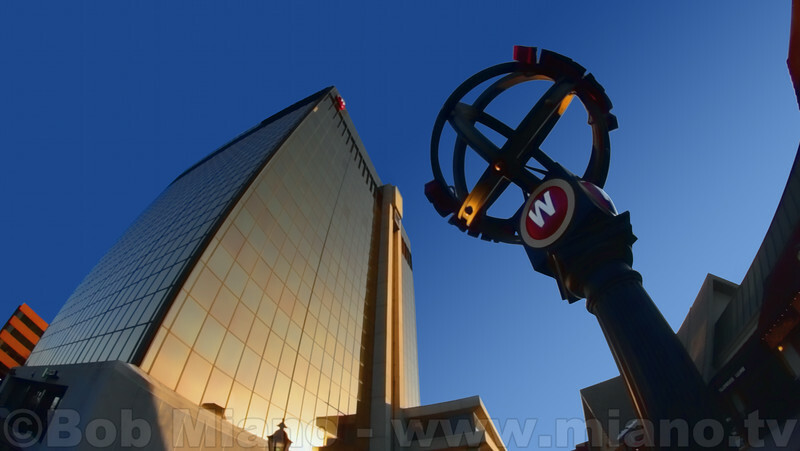 I enjoy creating architectural photography, including destination photography, for clients. If you wish to engage me to capture similar images for you or to discuss licensing of any of these images, please contact me through http://www.miano.tv. 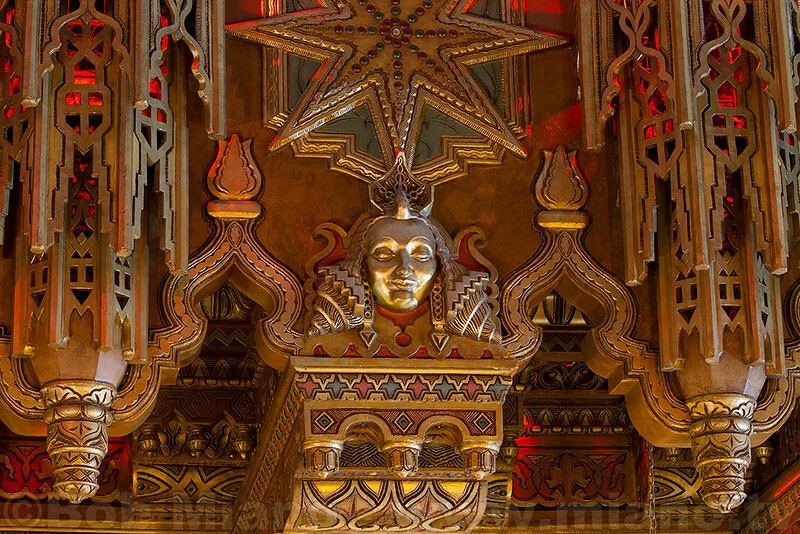 Just a small section of the incredible architectural detail of St. Louis' Fabulous Fox Theatre. 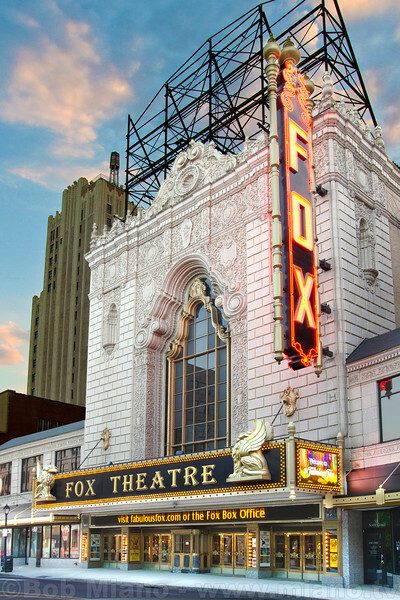 Sunset photo of the exterior of St. Louis' Fabulous Fox Theatre taken July 10, 2012. 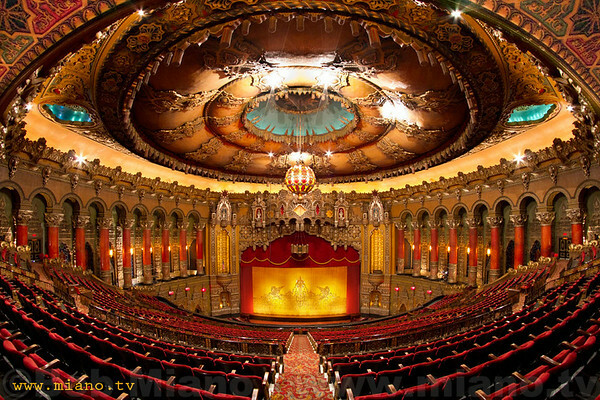 "Grand Center" is the long-time theatre district of St. Louis and home to the Fabulous Fox Theatre. Originally opened in 1929 by movie mogul William Fox, the magnificent movie palace fell into disrepair in the 1970's until it received a magnificent restoration by Leon and Mary Strauss and the Fox Associates in 1982. Today the theatre presents big-name concerts and the best of Broadway musicals. 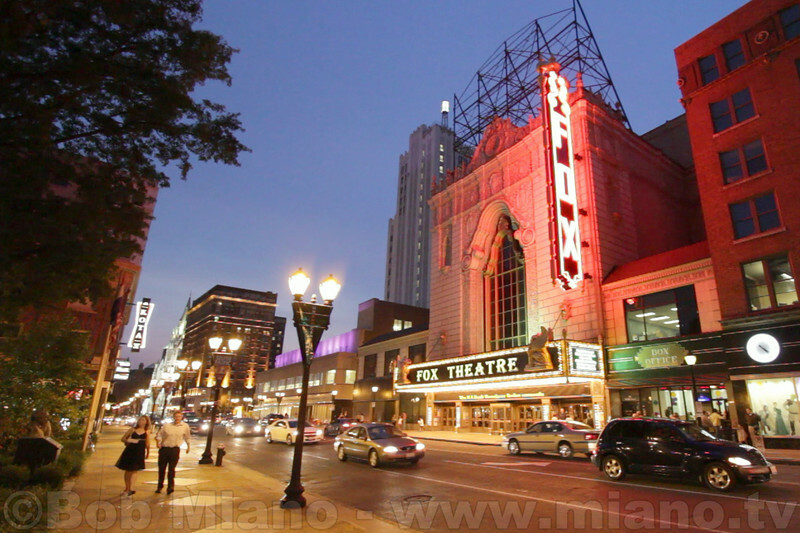 The Fabulous Fox continues to see upgrades and restorations; here the recently replaced marque and "blade sign" light-up the night life on Grand Avenue. 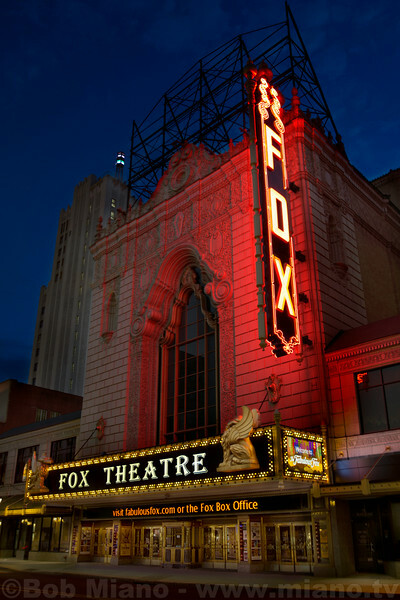 Nightime photo of the exterior of the Fox Theatre taken July 10, 2012. There is something interesting about this photo I took of the Fox Theatre... Only a handful of people would notice: The lighting in the blue-green alcoves of the ceiling is clearly from incandescent bulbs. Recently the incandescent bulbs were replaced with LED lighting. 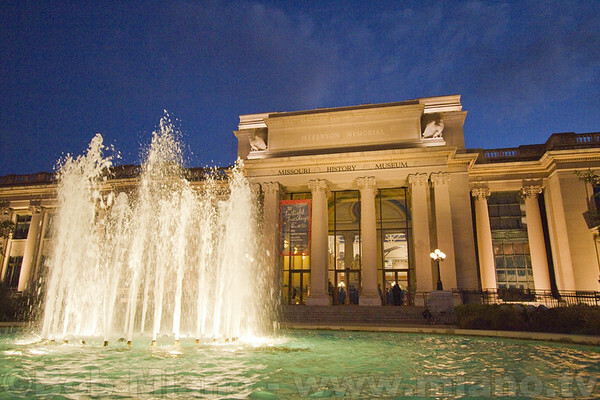 The Missouri History Museum located in St. Louis' Forest Park (the park was the location of the 1904 World's Fair). 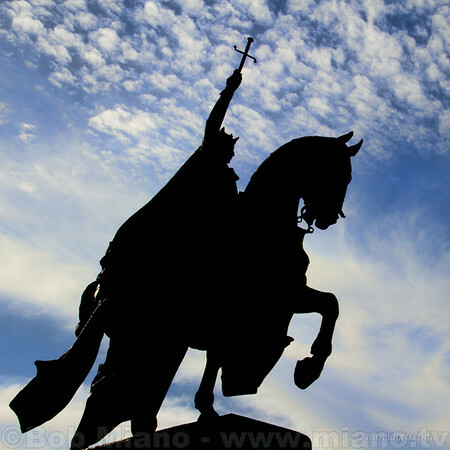 This is a statue of King Louis IX of France, the saint for whom St. Louis is named. The sculpture was first seen in St. Louis as a "staff" (similar to plaster of Paris) statue displayed at the 1904 World's Fair. It was so loved by the people of St. Louis - or so the story goes - that a permanent work in bronze was presented to the city after the fair. It can be seen today in front of the Saint Louis Art Museum - which also got its start at the 1904 fair. 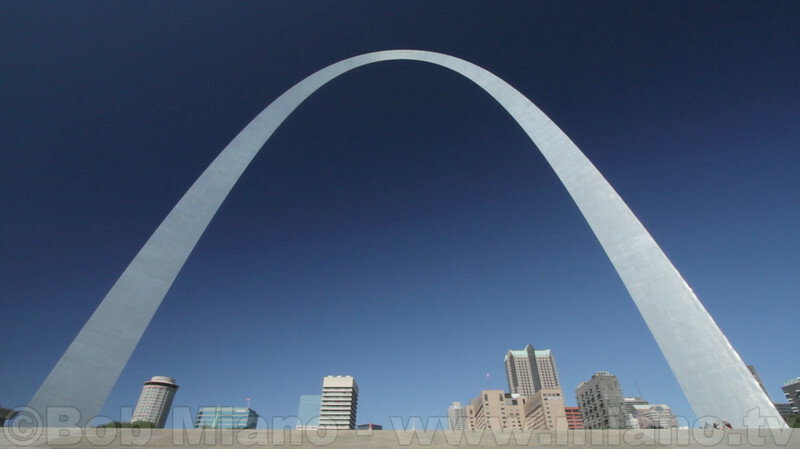 Up until the completion of the Gateway Arch, this was, for many people, the symbol of St. Louis. 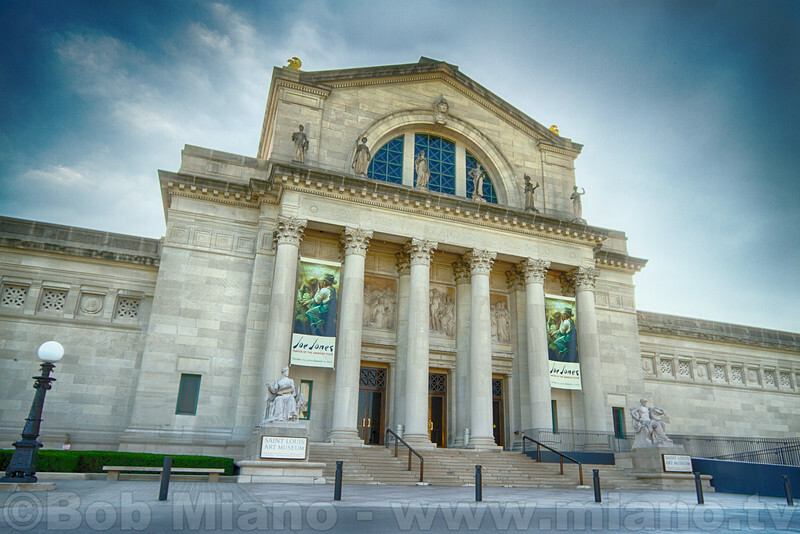 The Saint Louis Art Museum. Built for the 1904 World's Fair. The Jefferson National Expansion Memorial - more commonly known as "The Gateway Arch." This national monument was the focus of our documentary "The Gateway Arch: A Reflection of America." 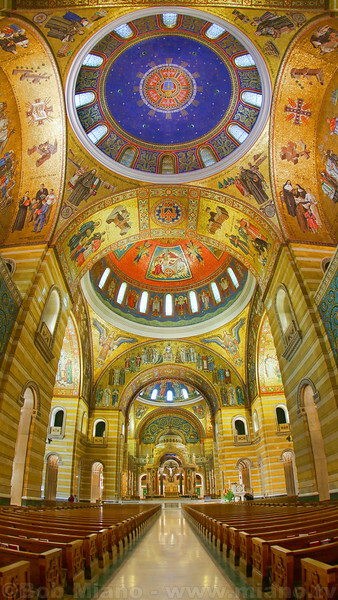 During the two-year production process we grew to understand that the Arch is not simply a symbol of St. Louis but is known internationally as one of a handful of great symbols of America. 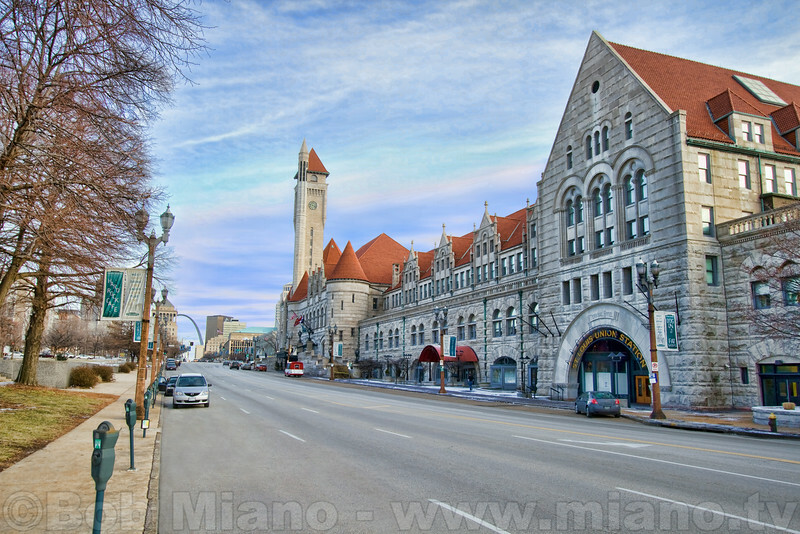 St. Louis' Union Station opened in 1894. It was designed by Theodore Link and at one time serviced 22 railroads via 42 tracks under the train shed behind this main structure. The famous picture of Harry Truman holding a newspaper with the erroneous headline "Dewey Defeats Truman" was taken at this station. Today the building houses a hotel and shops. 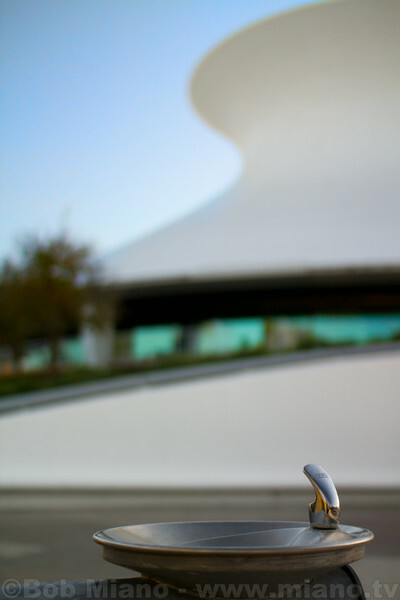 A cool drink in front of the St. Louis Science Center planetarium. This photo was taken on a miserably rainy and cold evening. 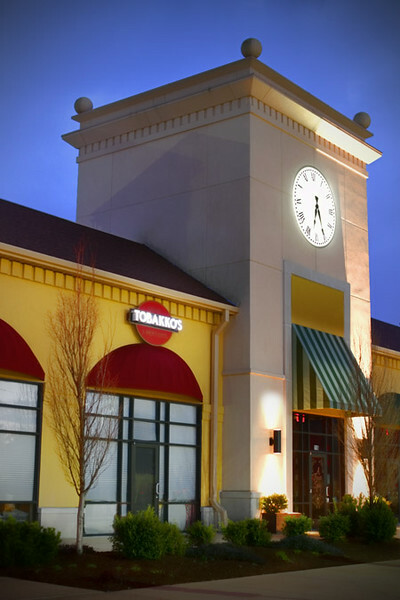 Signage, windows, and unlit lights were cleaned up in post.